Well it’s a big news day for all of us here at Mightier Than the Sword UK. Whilst most of the population of the UK is dying in the heat, we’re celebrating some wonderful events! The first is the launch party for Penelope Wallace, it takes place tonight, 26th May 2017, at the Middle Street Resource Centre in Beeston. Penelope will be on hand to talk about her book We Do Not Kill Children and the upcoming sequel! It’s a free event, so if you are in the area, feel free to come along and meet with Penelope! We’re also celebrating a week of school workshops that C.S. Woolley has just completed. Running a variety of different sessions including Viking myths and storytelling, Developing character backstory, how to build a book world and writing your own fairy tale, C.S. visited Sherwood Junior School in Nottinghamshire, Mottram Academy in Cheshire and Marton and District C of E Primary School in Cheshire. C.S. Woolley opening the library at Mottram St. Andrew Academy in Cheshire. Photo Credit: Mottram Academy. C.S. Woolley grew up in Cheshire and attended Mottram St. Andrew Academy, so the visit to open the library and run workshops with the pupils in year 3, 4, 5 and 6 was an extra special experience. If you are interested in booking C.S. Woolley for a school or library visit please contact office@mightierthanthesworduk.com for more details. However, that’s not all that’s happened this week for C.S. Woolley has also had 20 titles released. These are not titles that she did under the banner of Mightier Than the Sword UK but for a different publisher. Foxton Books contracted C.S. Woolley to write a series of 20 books for them. These were rewrites of 20 literary classics that have been designed to help people learn English- whether they are children or adults. The books include comprehension tests that she devised and Foxton Books found a stunningly talented illustrator to bring some of the moments from the books to life. You can find all of the books direct at Foxton Books or at Amazon, Foyles, Blackwell’s, the Book Depository, Wordery and Waterstones. This takes the total of published books in C.S. Woolley‘s catalogue up to 58! We’re taking a break from posting news and short stories to bring you a brief interview with author Penelope Wallace. Q. What is your favourite sport? A. “Sport” is an interesting concept. I’ve never come to grips with it as a participant, but I like watching tennis. Q. Where did you go to primary school? Q. Where did you go to secondary school? Q. Where did you go to university? A. Finally leaving St Andrews… Oxford and Aberdeen. A. The colours of the sunset. A. I usually say “Some Like It Hot”. Q. Last film you saw at the cinema? A. People choose just one? Q. What is your favourite book? A. “Magnum Bonum” by Charlotte M Yonge, and “The Gospel of Dot” by Humphrey Clucas. Q. Who is your favourite band? A. What is a band? Q. Have you ever seen them live? Q. Do you have a favourite song? A. Whatever I can’t get out of my head, unless I hate the words. A. I have been writing on and off since I was six, when I wrote a shortened version of “The Jungle Book”. A. Speculation about a world without gender prejudice, miscellaneous ideas… and a man who walked into my head. Q. So your friends and family are supportive? A. They are, on the whole. Q. Are you an animal lover? A. I will take the Fifth Amendment on this one. Q. Do you have other creative outlets besides writing? A. I answer questions stupidly and recite poetry. Q. What is your favourite flower? Join local author Penelope Wallace for the launch party of a book that gives fantasy a facelift. Released in November 2016, We Do Not Kill Children was heralded as the hot pick in Amazon’s Christian fantasy genre in the run up to Christmas and finally the book is getting a local not-quite-a-release party. The launch party is being held at the Middle Street Resource Centre, Middle Street, Beeston on 26th May 2017. The doors will open at 7pm, with talks starting at 7:30pm. Entry is free. There will be refreshments on offer for all those that attend, with the chance to meet the author and talk to her about her book (and the second Tale from Ragaris, which is due to be published later this year) as well as the opportunity to purchase a copy and have it signed. The illustrator for the books, Ian Storer of Scipio Design will also be in attendance with more examples of his work. C.S. Woolley, the founder of Mightier Than the Sword UK Publications and another local author, will also be there with some of the other books in the Mightier Than the Sword UK Publications catalogue available for purchase. It’s official, the debut novel from Penelope Wallace is here, and we couldn’t be more excited! You can also find out more about We Do Not Kill Children in the books section of our site. You can get We Do Not Kill Children direct from our Etsy Store in digital and paperback format. Yes, the debut novel from Penelope Wallace is coming on 14th November! 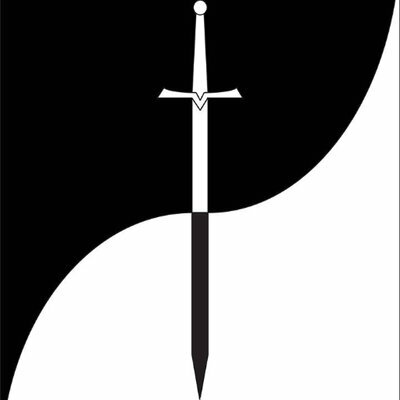 We Do Not Kill Children is set in the fantasy realm of Ragaris, where the country of Marod can be found. We don’t want to give away too may details just yet, but we do have the cover art and the blurb to share with you all – besides the official release date. We will be releasing more details as it gets closer to the release date, so watch this space!